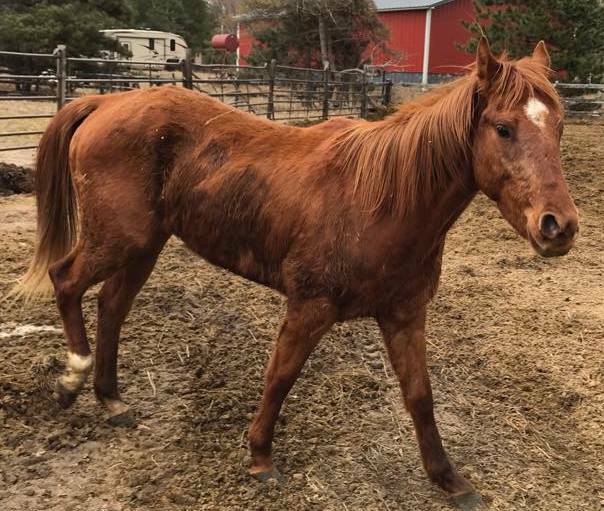 Luta came to MHARF from a March 2019 Fillmore County humane case. We have placed her with trainer Shaylor Alley for our 2019 Trainer’s Challenge. 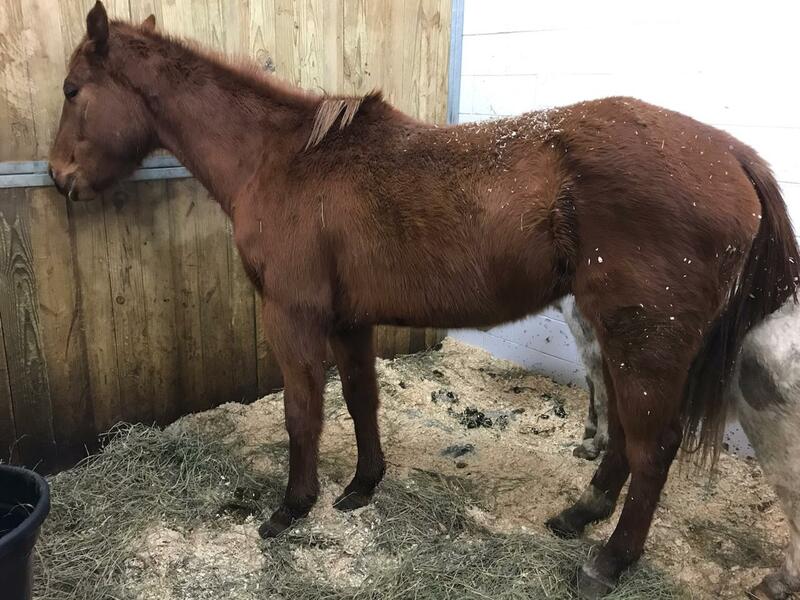 Luta still needs to gain some weight and we want to thank Shaylor for taking her as his Challenge horse even though she still requires rehabilitation time. Shaylor will work with Luta and give her the nutrition and rehab care she needs while also starting her training on the ground. When she is ready he will start her under saddle so she can compete in the Challenge on Sept. 7th and find a new home. You can follow Luta’s and Shaylor’s journey on their Facebook Page . For more information on how to adopt a Trainer’s Challenge horse Click Here!